The Retention Manager will oversee the day-to-day activities and performance management of in-house retention team supporting member retention efforts. The Retention Manager will be accountable for all aspects of service and sales related activities within eBranch, Member Retention, which include: retaining profitable members and account relationships, creating exceptional member experiences through problem resolution and de-escalation, achieving retention and profitability targets, sales and service training and goal setting. The Retention Manager is responsible for the implementation and management of initiatives designed to meet or exceed the member, line of business, and revenue retention goals. Manage the sales process for retention that includes customer needs analysis, product appropriateness selection, negotiation and identification of new sales opportunities. Actively develop eBranch Retention team by utilizing effective service and sales coaching to build product knowledge, service skills and job proficiency. Create motivating environment that nurtures employee engagement, embodies company culture and energizes the eBranch Retention team to make proactive decisions for consumers, internal and external lines of business. Monitor employee performance to assure adherence to policies, procedures and expectations. Conduct ongoing training as needed to ensure adherence. Establish and maintain a high level of customer satisfaction that includes meeting member retention goals. Reduces lost accounts by diffusing cancellation requests by providing immediate solutions. Provides production reports of metrics and analytics to Senior Leaders. Acquire in-depth industry and company knowledge in order to make the proper decisions for the member. Bachelor's degree in Business Administration, Marketing, or Communication. 5 years of experience leading a retention call center team. 3 years as an individual contributor in a call center environment. 1 years of Financial Services industry experience. Effective communication skills, verbal and written. Detailed knowledge of Financial Services related products such as auto loans, home equity loans, mortgage, deposit and checking accounts. Excellent computer skills, interpersonal skills and ability to persuade others through indirect influence. Demonstrated capacity to thrive in a high-volume call center environment.  It is a requirement of this position that individuals be registered though the National Mortgage Lending System and Registry (NMLS). This can happen post-hire if you are not already registered.